The car involved in the accident. 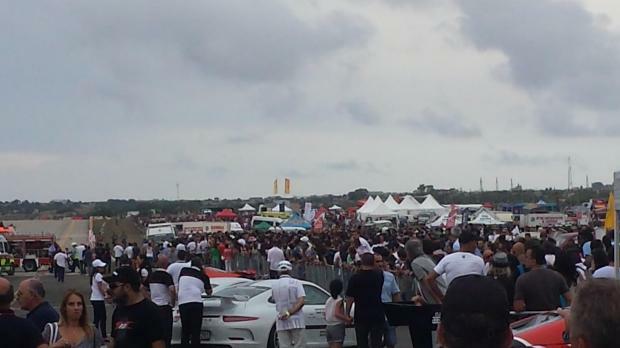 Twenty-six people were injured, five critically when a Porsche 918 Spyder supercar sped off the track and crashed into a section of the crowd during the Paqpaqli ghal-Istrina motorshow this afternoon. 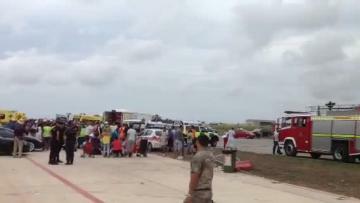 The incident happened at about 2pm on Park 4 of the airport in Hal Farrug. 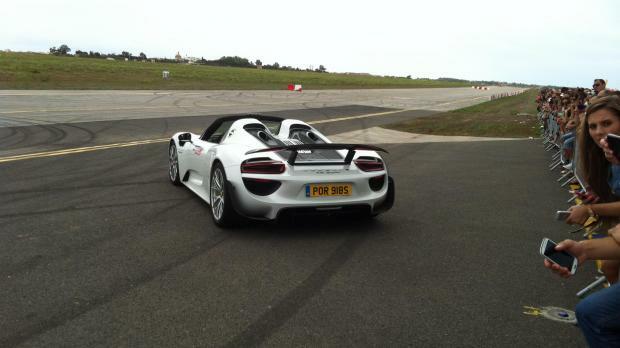 The car was being driven by experienced driver and owner Paul Bailey. He was among those injured. His injuries are serious, but not critical. 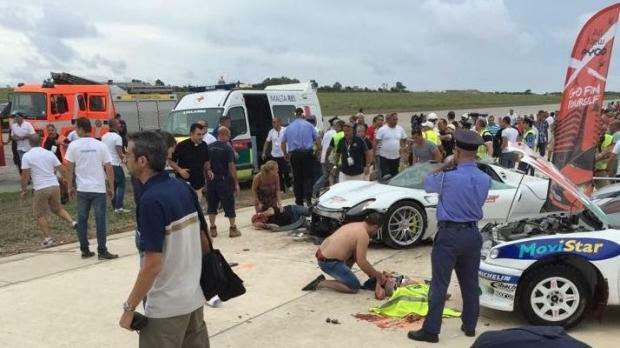 An eyewitness told Times of Malta: "The car was speeding down the taxiway when a back wheel went on the grass. The car spun out of control, went through the barriers where a large crowd was watching, and into the area of the static car exhibition. "Many people were hit, there was chaos and screams." A spokesman for the organisers said the cause of the accident would have to be investigated, pointing to the possibility that the car or wheel may have developed a fault. A fleet of ambulances and a helicopter were deployed to the scene. According to revised figures given by Parliamentary Secretary Chris Fearne, 19 people were admitted to Mater Dei Hospital with severe injuries, five of whom are in intensive care. The others were treated at Paola health centre and released. Mr Fearne said the injured were suffering severe head injuries, multiple fractures and abdominal injuries, among others. A number of operations will be held in the coming hours. Psychologists are helping the victims. The police urged people not to approach Hal Farrug and visitors were kept well away. 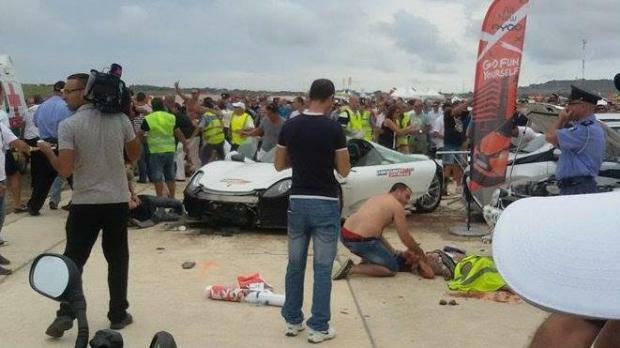 This was the first ever serious accident at the popular motorshow, held to raise funds for L-Istrina, the charity fund-raiser held on Boxing Day. Mr Fearne thanked all rescuers, including members of the Red Cross society. 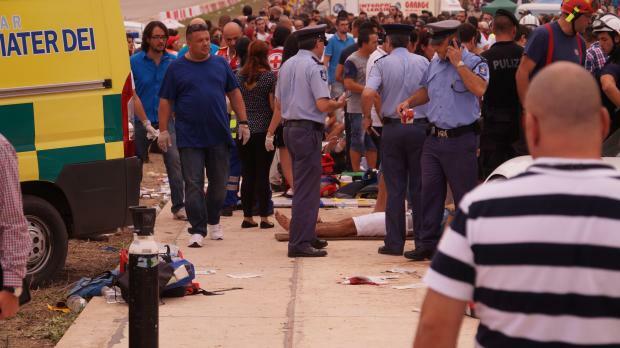 President Marie-Louise Coleiro Preca was seen at the scene shortly after the incident. She later put off a trip to the UK in order to visit the injured at Mater Dei. 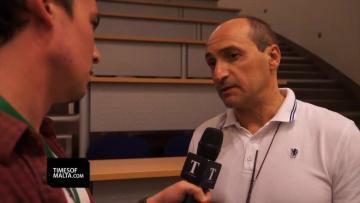 Prime Minister Joseph Muscat briefly visited the hospital as soon as he landed in Malta from his US trip. He said he was proud by the response of the hospital staff. Mater Dei Hospital issued helpline numbers 2545 4032, 2545 3949 and 2545 3947 for queries on the accident. 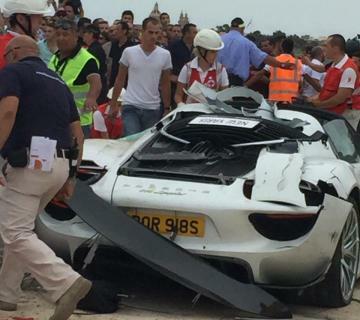 Archbishop Scicluna visited the injured and the Curia in a statement said: "Prayers and thoughts go to those hurt at Paqpaqli driving accident. 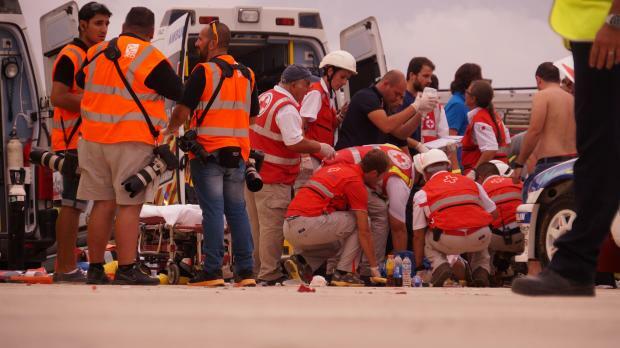 "Opposition leader Simon Busuttil expressed solidarity on behalf of the party and thanked rescuers and the medical staff. Alternattiva Demokratika also expressed its solidarity with the injured. 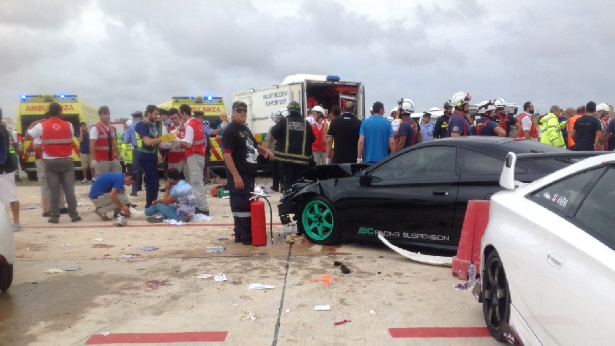 The Malta Motorsport Federation said it was saddened by the accident. "Our thoughts at this difficult time are with the injured and their families." Picture - Claire Sultana - mynews@timesofmalta.com Facebook Times of Malta. 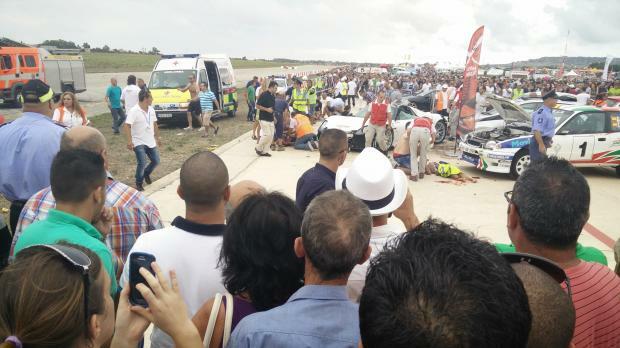 The carnage, including injured people and damage caused to cars parked for the static show.